← What Is So Great About My Religion? Christianity has often been characterized as a “bloody religion” due to the many references to blood. Blood is in many of the songs we sing with lyrics like: “What can wash away my sins? Nothing but the blood of Jesus;” or “Alas and did my Savior bleed and did my Sovereign die;” or “Have you been to Jesus for the cleansing power? Are you washed in the blood of the Lamb?” and many others. Unlike pagan religions that required multiple human sacrifices to keep at bay the multitude of insatiable demonic gods, Christianity offers only one human sacrifice that suffices for all and for all eternity. From the fall of man, blood has been shed for the covering or the atonement of sin. “Unto Adam also and to his wife did the LORD make coats of skins, and clothed them” (Genesis 3:21). Those coats of skins required the shedding of blood on the part of some innocent animal. Abel understood the concept of blood sacrifice when he made his offering to God, “And the LORD had respect unto Abel and to his offering” (Genesis 4:4). In gratitude for God’s salvation, Noah shed the blood of several animals as a burnt offering to God, “And the LORD smelled a sweet savor; and the LORD said in his heart, I will not again curse the ground any more for man’s sake” (Genesis 9:21). Blood represents life, and life has great value to the Creator who created it. God prohibited the consuming of blood: “But flesh with the life thereof, which is the blood thereof, shall ye not eat” (Genesis 9:4). He placed an even higher value on human life: “and surely your blood of your lives will I require; at the hand of every beast will I require it, and at the hand of man … Whoso sheddeth man’s blood, by man shall his blood be shed: for in the image of God made he man” (Genesis 9:5-6). 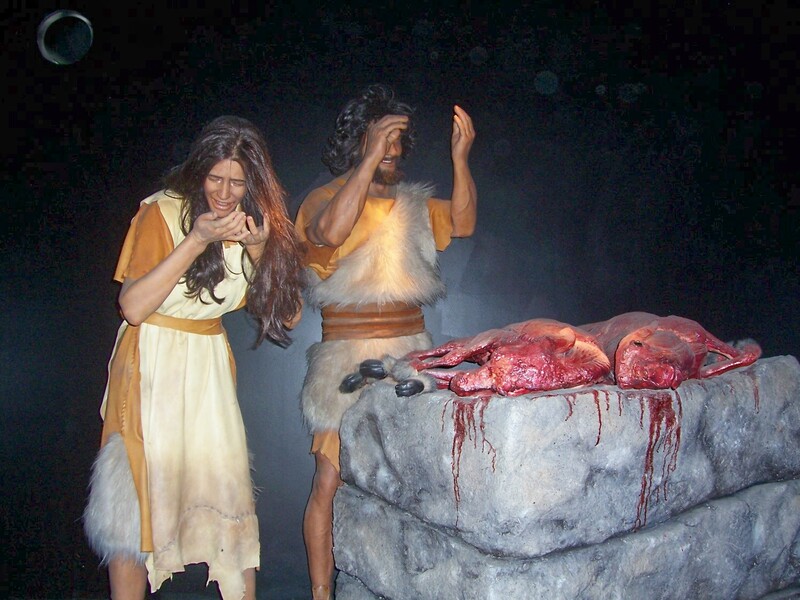 The Israelites were instructed on the proper methods of animal sacrifice for the forgiveness of sins. All of these were perpetual offerings that foreshadowed the sacrifice Christ would make on the cross once and for all. This was necessary because “Neither by the blood of goats and calves, but by his own blood he entered into the holy place, having obtained eternal redemption for us” (Hebrews 9:12). Christ “offered himself without spot to God” (Hebrews 9:14) “For it is not possible that the blood of bulls and of goats should take away sins” (Hebrews 10:4). “We are sanctified through the offering of the body of Jesus Christ once for all” (Hebrews 10:10) and forevermore.